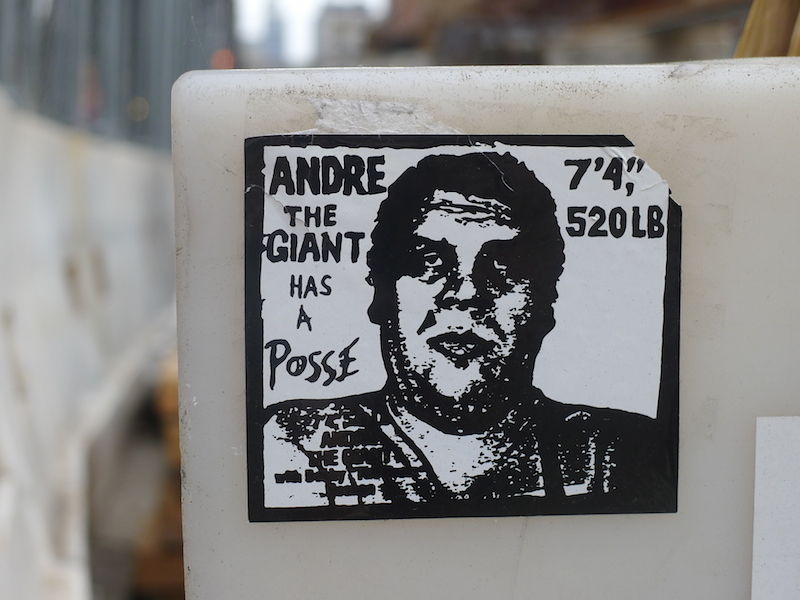 Andre the Giant Has a Posse sticker by Shepard Fairey. Photo by RJ Rushmore. When people think about how an artist generally gets their work into galleries, particularly when they are just starting out, it usually goes something like this: Submit work to 100,000 galleries, try to meet and schmooze with gallery staff, and beg. Shepard Fairey’s gallery career began quite differently. In fact, he hardly knew it was beginning at all. Fairey told the story of how it happened in PAPER Magazine in 2010, and here I’ve supplemented that telling with additional information from interviews with Carlo McCormick (senior editor of PAPER magazine) and Fairey. While he was doing his OBEY-style parodies of Coca Cola’s OK Soda advertising campaign, Fairey met Helen Stickler, a filmmaker who also knew McCormick and who would eventually make a documentary about Fairey. Stickler loved the OK Soda/OBEY project when she found it in Providence, Rhode Island, where Fairey was living and putting up a lot of work at the time. Thanks to Stickler, Fairey submitted some posters to a show that McCormick and Aaron Rose (who ran Alleged Gallery in New York City) were curating at Bard College in 1994 called Represent. It featured the work of artists who were primarily known for designing t-shirt graphics. McCormick thought that the artists doing t-shirt graphics were participating in a culture of appropriation that could be backed up with decades of theory if necessary, but he was excited by the possibility that these young artists were just tapping into something cool without worrying about theory. Shepard Fairey is still making clothing, and his OBEY Clothing brand is sold in stores around the world. 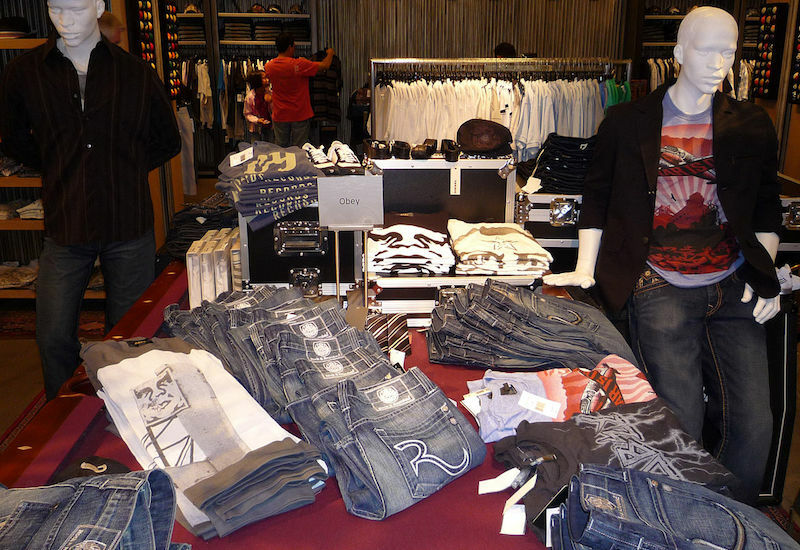 Here’s some in a Nordstrom in 2008. Photo by Bobak Ha’Eri. And this is where it gets strange. Evan Bernard, a music video director whom Fairey was familiar with for being name-checked in the Beastie Boys song “Sure Shot”, called up Fairey’s studio to see if he was going to be at Alleged Gallery that night for the opening of Represent. Bernard was interested in picking up one of Fairey’s t-shirts. The only problem was that Fairey had no idea what Bernard was talking about. Once Fairey figured out that the Bard show (the name of which Fairey had not known until that point) had moved in Alleged Gallery, he threw a box of t-shirts into his car and drove straight to New York City to get to the opening. One important connection made that night for Fairey was meeting Phil Frost, who took Fairey out to put up some street pieces and taught him how to properly wheatpaste. Before Frost taught him what to do, Fairey had just been making his wheatpaste with Elmer’s glue and water. Of course, that’s just one example. Alleged Gallery and the nearby Max Fish bar were hubs of the New York art community that Fairey would become a part of, and many of Fairey’s early connections in the New York art and graffiti communities can be traced back to Alleged Gallery, Represent, and a phone call from Evan Bernard. OBEY Icon wheatpaste. Photo courtesy of Incase.